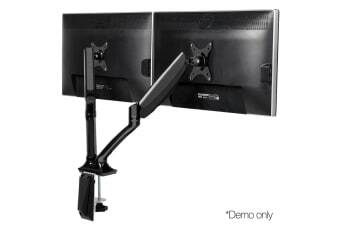 With it, you can mount two monitors on one arm not only for efficiency but also add some panache to your work desk. 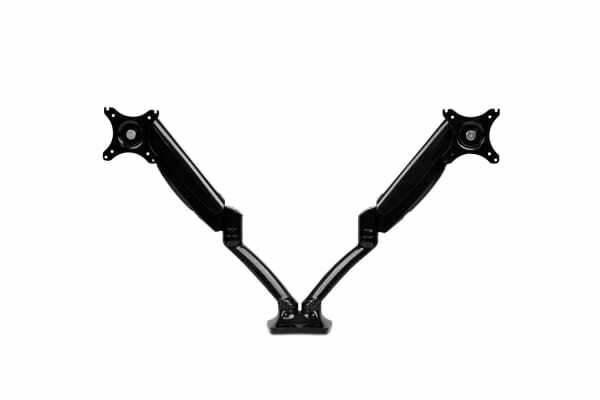 You can extend each monitor up to 51cm to set your preferred viewing position and retract each one with ease. Height adjustments of up to 39.5cm can be easily done using the height adjustment knob. It also allows you to swivel your monitors 360deg and set in either landscape or portrait format. As a new design element, the Monitor Arms now feature spacious Cable Management Channels that allow you to run cables smoothly and not interfere with any monitor adjustments. 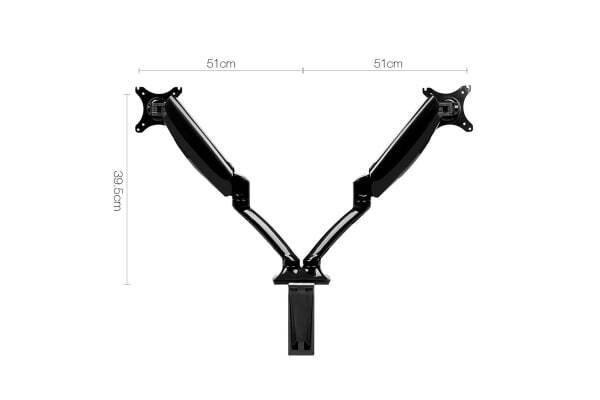 Not least, both Monitor Arms have new adjustable gas spring tension to account for screens of different weights for better weight distribution and sturdier mounts. 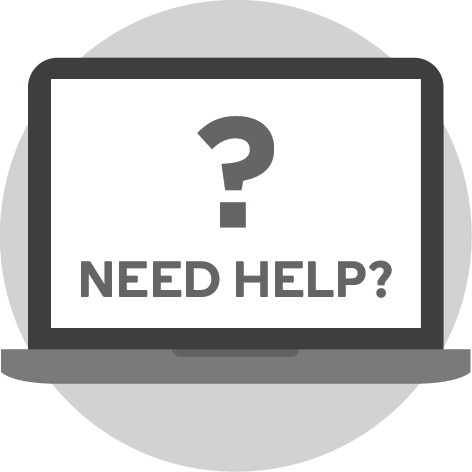 All the necessary mounting hardware and an assembly manual are included in the package for a hassle-free set up. 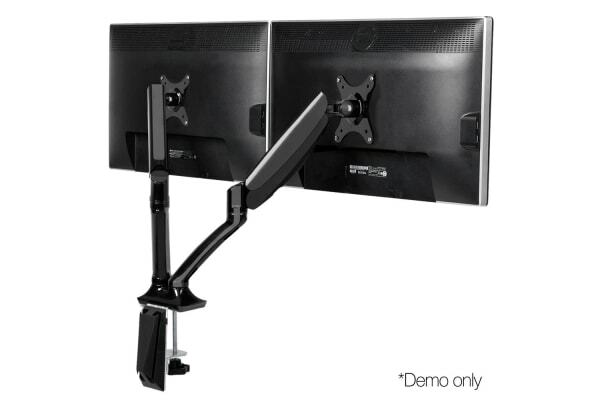 So up the cool factor with our Dual Monitor Arm Stand on your desk. It’ll certainly help you to view your tasks in a better light. Maximum height: Up to 39.5cm approx. Maximum extension: Up to 51cm approx.